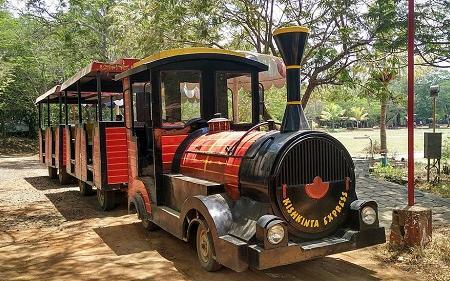 One of the most fun things to do in Chennai the Kishkinta Theme Park. 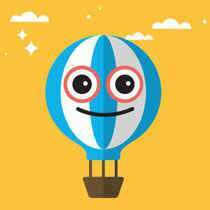 This fabulous theme park located near the Vandalur Railway station. Spread across a huge expanse of diverse terrains, exhilarating fountains and various designs and decorations, this park is a delight to visit with the kids and family. This theme water Park is spread across 120 acres of vast area with a scenic landscape, bushes, fountains, decorations and designs. There is water park too inside the premises with some fun rides like elephant splash, water volcano, water wars and more. There is a good blend of dry rides too, making it a suitable place to visit for one and all. Also this park has various entertainment places of amusements, attractions, Wave pools, water rides, roller coasters, toy trains etc. especially for children who visits for picnics. People normally club together Arignar Anna Zoological Park and Vallakottai Murugan Temple while planning their visit to Kishkinta. The place is a huge jungle with good rides. The waterfall in the ladies section, actually has a cave with changing rooms. Those who want to go there can get their bags inside before the waterfall begins, and change after the water stops. And there could have been better changing rooms outside. But the experience was wonderful. Good place for family amusement, people who like to spend more time in water will love it, normal rides are very less. Go on normal days if you don't want to stand in long queues. It costs Rs.700 for adults and and 500 for kids incl, GST APPROX.. ENJOY.. Still wondering how they are calling themselves as India's No.1 amusement park.. They cannot even come close to some temporary exhibitions happening on our native side. U can see a list of 54 rides only on their Entrance advertisement and Map inside the park. all they have is a 5 worst dry rides and a children pool with water coming from various places which they call as water rides. only 3 water slides that too will be operated for 30 minutes. Worst staff behaviour. U have to wait from 1 to 2.30 for the ride operators lunch time. No proper announcement about the park closing, the lights will be turned off so u need to guide yourself with your cell phone torches. what else to say? Its all based on one day experience. Guys my gentle advice is don't even consider this as an amusement park and waste ur money. 690 rupees such a waste of time and money. On an average visitors spend 4 hours at the Kishkinta theme park. 3 years children are allowed? I think you can bring your 3-year-old to Kishkinta, but someone should be there for guidance. However, not all the activities are allowed for such small children. I would suggest that you make an inquiry at 044 - 22512001 - 005 before you plan to go. There are restaurants and eateries inside Kishkinta where you can buy food. It is not included in the entrance ticket.